For the great majority of teachers, a 40-hour work week is a laughable concept. Between classroom time, lesson planning, formal assessments and testing, handling behavioural problems, keeping regular contact with parents, and a slew of administrative responsibilities, the average Canadian teacher works 50 to 55 hours per week according to a Canadian Teachers Federation report. Teachers recognize that their ability to support students directly and to maintain a work-life balance suffers under their need for multitasking. Despite this, educators are a resourceful and idealistic bunch. Some practical organizing and forethought can help ease planning and administrative duties and bring the focus back on kids. In lessons and communications with parents, teachers are skillful improvisers. A big part of handling urgent and unexpected situations well comes from having good back-up plans. That includes backed-up files and templates for your handouts and assignments, as well as prepared letters to parents so you can get messages out quickly when needed. Whether you use sites like ClassTrak, LiveBinder or Wufoo, having access to online tools for learning and communication that create a direct link between you, parents, and students can help streamline the process and make creating and sharing learning resources easier. Classrooms and curriculum planning is increasingly a digitized affair which, while nice for trees, can be a source of chaos and stress for some teachers. A digitized classroom makes being organized much simpler, if planned out properly. Make sure your folders and subfolders on your computer are organized in a way that makes sense and allows you to sort and access documents quickly. If you need to be able to access those documents from several devices or places, set up a storage system online in a place like Dropbox or Google Drive. Do not to let yourself fall into the habit of leaving unsorted files to accumulate in your downloads folder or on your desktop. Remember, this applies to the bookmarks on your internet browser, too. That amazing rubric making website won’t save you time if it is buried under an endless collection of articles you hastily bookmarked to read at a less busy time. You probably don’t have time for the intensive decluttering and purging regimens popular in some life magazines, but organizing the space you work in, much like avoiding digital clutter, will enable you to put away and find what you need quickly at home, on your desk, and in your classroom, and keep your mind clear. You can find some great tips to get started in a post by Whitson Gordon, former editor of Lifehacker, one of the most popular blogs in the world. Do you have a mentor or colleague who you are comfortable going to for advice? Particularly for new teachers, talking to someone who has made it through the same challenges you are facing can make your multitude of tasks less overwhelming. “Build relationships with reflective, life-long learners to become one” suggests Instructional Coach, Andrew Miller. If you feel out-of-your depths in the face of the technological tools for teachers and students and find them taking more time than they save, get the lowdown from a colleague who loves technology and knows how to leverage it. Part of your job is to keep communication pathways open between yourself, your students and their parents. That said, if that line of communication means you are connected and reachable non-stop, it can become an energy and attention drain. Make sure you give yourself time to disconnect at some point in the day. Make a ritual of it even if just for a half-hour in the morning, at lunch, or in the evening with a cup of tea and something relaxing that does not involve a screen or an internet connection. Whether you are a veteran or a fresh face teaching this fall, feel free to share your strategies for staying organized and staying focused on your students’ needs. 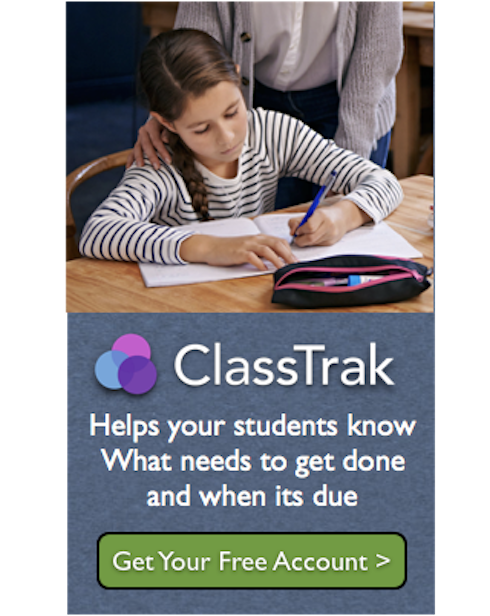 Jonathan Schacter Hi, I'm Jonathan, Founder of ClassTrak. I am passionate about technology, startups and most of all, making things that matter.